7th gen tourer 225/45 R17 91Y Yokohama Advan Sports at the moment. Never had any issue with them grip wise but they're a little soft and haven't lasted as long as I'd hoped. What tyres are you all using now? Any good recommendations for a quiet tyre with good grip? Edited by spud350, 31 May 2016 - 08:12 PM. Title should obviously read "what" but can't edit. Yoko C drives in summer, W drives in winter, no problems, all good, very sure-footed. I use bridgestone RE002's, use them on track and fast road, immense grip and its my all round tyre, no complaints. Edited by Shuthan, 31 May 2016 - 08:25 PM. I'm on Bridgestone s001's at the minute, they're grippy enough, not very fuel efficient, but grippy none the less. They were actually panned for rolling resistance on their own test track which is where lack of fuel efficiency comes in. You're gonna think I'm mad, but I wanted a mid-range tyre for my 19's, and my tyre guy pointed me at a budget tyre his son was using on his 330d following a recommendation. They're Autogrip Grip 200's, and I paid £80 for a pair of 225/35-19's to try them out. 5000 miles in, they're showing hardly any wear, and are better in both the wet and the dry than the Uniroyal rain sport 2's I took off. Surprised doesn't even come close. Matching pair for the rear this week. Personally I am looking at Falken Ziex when mine needs replacing, heard good things about them and they are good price. 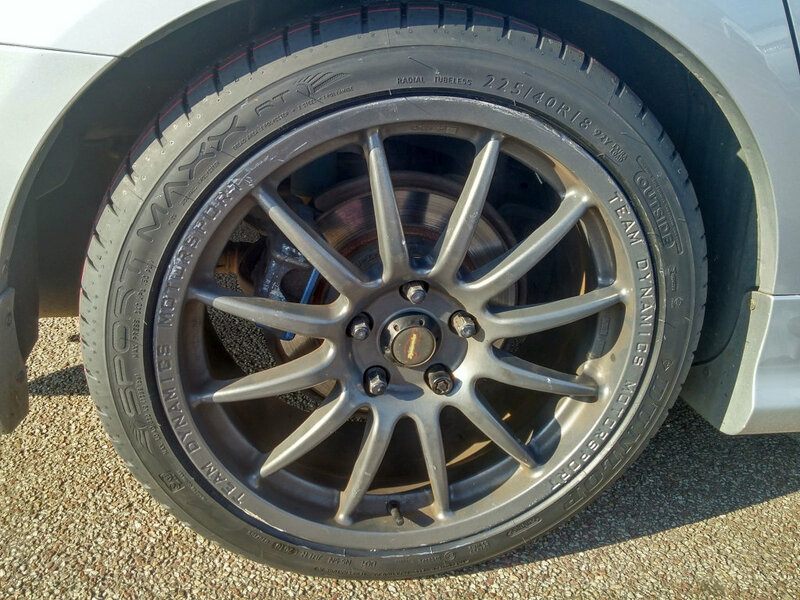 Ive been using them for about 5 years straight now.before i was using advan ad08.they where expensive,and had no grip in the cold or wet. 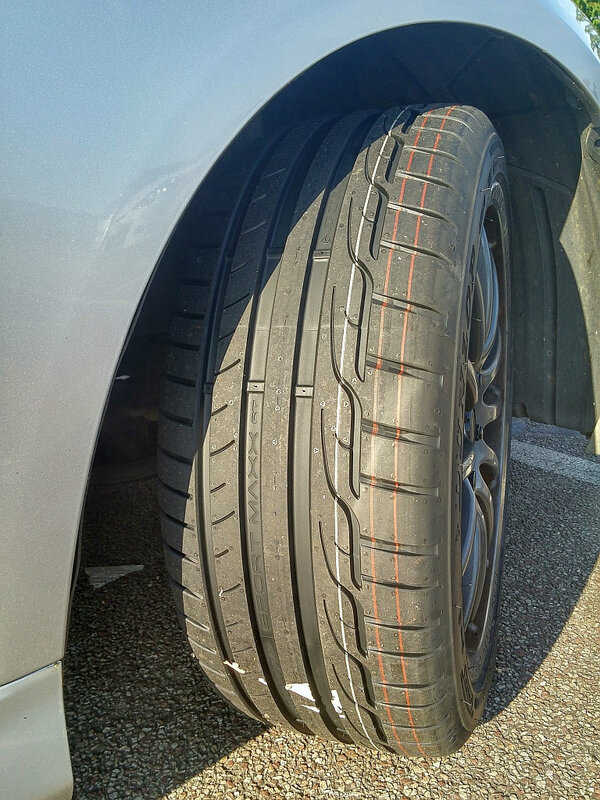 My tourer has Michelin Pilot Sport 3, 225/40/18. Good tires but a lit bit too noisy. Next will be Goodyear Eagle F1 AS3 or Dunlop SP Sport Maxx RT, both have good grip and are quiet. Trying Nokian Line now, good reports/rated so we will see. 53 reg CM1 model. Used to run Nokian WR A3's on my winter wheels on my Legacy. Amazing on greasy roads and made the car unstoppable in the snow. They make a great tyre. Falken ZE 914s. Good balance of performance, noise and price. I also tryed nokian z line.they where excellent in the wet,but after 6months all 4 tyres started to slit. I had Uniroyal Rainsport 3 on my previous car (2001 Audi A4 1.9 TDI) and was very impressed with them. 'A' rated wet weather grip and I would back that up. They feel sticky in the dry and still felt confident in them at low temperatures but main point is they are brilliant at dispersing standing water. Which we seem to be getting a lot of this summer! Will be getting some again once I've chosen some wheels. Now I'm using Dunlop SP Sport Maxx RT (225/40/18). excellent grip & quiet. Double post, need to erase it! Edited by IloveJapan, 01 July 2016 - 02:25 PM.